Who are we..... Friends of Webster was organized in July of 1994 by a group of volunteers who work together to support and enhance the facilities and programs at June Norcross Webster Scout Reservation. Many of its members are former Scouts or leaders that had attended JNW or had served on the summer camp staff. Others are interested volunteers who help support the camp in many different ways. Membership..... In Friends of Webster is the key to the success of the organization. Annual dues from members, combined with fundraising and donations from the community, provide the financial means for Friends of Webster to undertake each new project, big or small. These funds are parlayed with the various skills of our ‘Friends,’ and volunteer labor, to accomplish amazing things at a minimal cost. What we do..... During just the past year, Friends of Webster have helped to construct additional Visitor Bathrooms, build a new Archery Range, establish a Cub Country camping area, expand the Wilderness Waterfront, and continue adding Campsite Pavilions. These projects have been made possible in part by funds raised at the Friends’ Annual Trade-O-Ree and from a Hot Dog concession stand at the Woodstock Fair. Friends of Webster host three work days each year - Black Friday in November, a March Work Day, and Beaver Day prior to the opening of summer camp. These events draw many volunteers out for a day to share their time and talent while addressing the many projects, large and small, on the Camp Ranger’s ever present ‘To Do’ list. 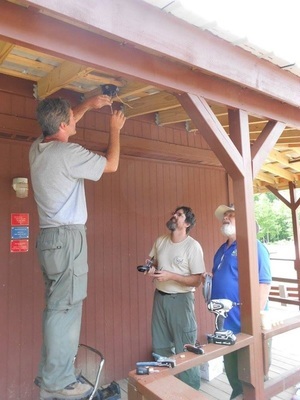 In addition, there is an informal work party at camp every Wednesday throughout the year for anyone willing and able to help with current and on-going tasks to improve the camp. History.... Friends of Webster in partnership with the Connecticut Rivers Council have also established the Nathan Hale Heritage Center, a museum dedicated to the history of Scouting and Scout camps in eastern Connecticut. Its mission is to preserve Scouting memorabilia, literature, and materials for future generations. Donations are welcome. We fund these projects with dues, donations and fund raising. Dues are $25 per Scouters, $50 for families and $10 for Scouts (under 21). $500 Life Membership. To Sign up to be a member of the Friends of Webster contact Treasurer John "Hoss" Haskell Sr.
JNW is available on weekends from September through May, minus a few holidays, for individual troop and group camping. Cabins, tent sites and the dining hall are all available to rent. 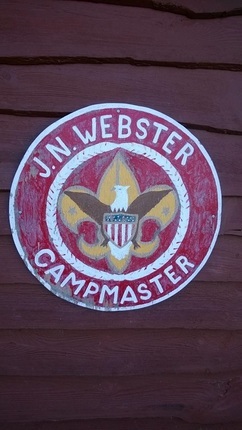 During these weekends, JNW is staffed by members of the Campmasters Corps. 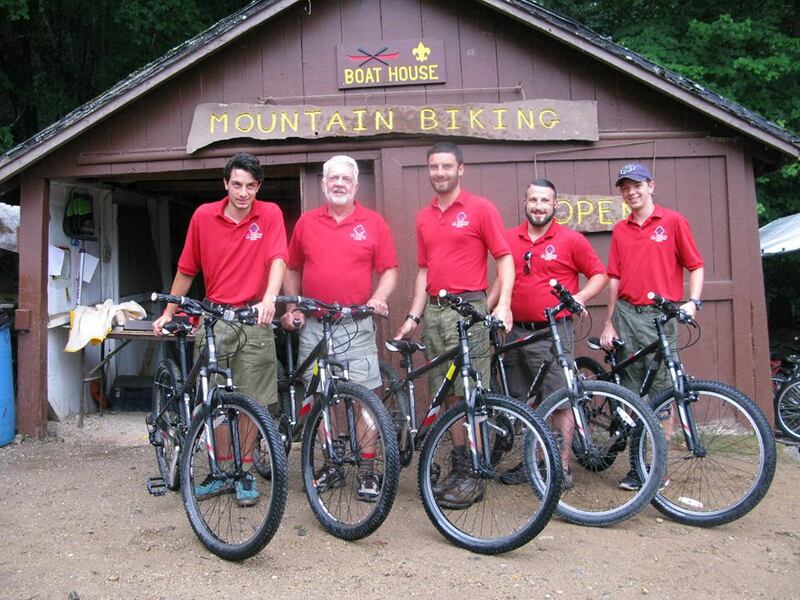 These Campmasters are a dedicated group of volunteers who elect to spend a couple of weekends per year here at camp, making the facilities available and offering Commissioner-type services to the groups who come to camp for the weekend. Campmasters are trained, experienced and registered Scouters of all types, with demonstrated ability to get along with all people, to lead and to act in an emergency. And of course a great love of our beautiful camp in any season! If this sounds like you and you would like to spend some quality time at JNW during the non-summer months, please contact Chief Campmaster Sue Phillips at for more information.